Rochdale Junction is a minor waterways place minor waterways place place on the waterways major waterways place village town city on the Rochdale Canal between Ducie Street Junction (Junction of Rochdale and Ashton Canals) (11 miles and 5 furlongs and 33 locks to the southwest) and Littleborough (3 miles and 4¾ furlongs and 2 locks to the northeast). The nearest place in the direction of Ducie Street Junction is Well i&apos;th&apos; Lane Bridge No 61; 1¼ furlongs away. The nearest place in the direction of Littleborough is Rochdale Changeover Bridge; a few yards away. 83 Broad Lane, Rochdale, OL16 4PR — 1329 yards to the southeast. 323-325 Oldham road, Rochdale, OL16 5JG — 186 yards to the south. The Old Post Office, No 2 The Esplanade, Rochdale, OL16 1AE — 1328 yards to the northwest. 11 The Butts, Rochdale, OL161XT — 1378 yards to the northwest. 1 Prince Street, Rochdale, OL16 5LL — 199 yards to the southeast. 319 Oldham Road, Rochdale, OL16 5JG — 179 yards to the south. 106 Yorkshire, Rochdale, OL16 1JY — 1518 yards to the north. 14 Tweedale Street, Rochdale, OL11 1HH — 788 yards to the northwest. 17 Drake Street, Rochdale, OL161RE — 1259 yards to the northwest. The Butts, Rochdale, OL16 1HB — 1389 yards to the northwest. Manchester — 1202 yards to the north. Regency House, Greenacres Road, Rochdale, OL4 1HB — 75 yards to the southeast. 4 Smith Street, Rochdale, OL11 4 — 1310 yards to the northwest. Station Rd, Rochdale, OL11 1 — 546 yards to the northwest. Unit 2b, Kingsway West Business Park, Rochdale, OL16 5LX — 693 yards to the east. Rochdale — 1533 yards to the north. Rochelle Rose, Gainsborough, 1A BRITANNIA HOUSE — 1621 yards to the southwest. Rochdale — 761 yards to the northwest. Rochdale, OL16 1A — 1304 yards to the northwest. 10 Crompton Avenue, Rochdale — 1346 yards to the south. 4 Baron Street, Rochdale, OL16 1SJ — 1077 yards to the northwest. Sandbrook Park, Sandbrook Way, Rochdale, OL11 1RY — 1280 yards to the southwest. Rochdale — 189 yards to the northeast. 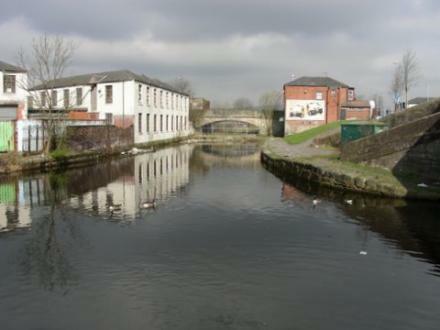 Canal Wharf, Canal Street, Rochdale, OL15 0AA — 101 yards to the south. Water Street, Rochdale, OL16 1TL — 1118 yards to the north. 15 Drake Street, Rochdale, OL16 1RE — 1265 yards to the northwest. 23 Lord Square, Rochdale, OL16 1ED — 1445 yards to the northwest. Moore Street, Rochdale, OL161QN — 967 yards to the northwest. 77 MILKSTONE ROAD, Rochdale, OL11 1NT — 514 yards to the west. Rochdale, OL16 1EY — 1324 yards to the northwest. Unit 3, Sandbrook Leisure Park, Sandbrook Way, Rochdale, OL11 1RY — 1386 yards to the southwest. Sandbrook Park, Sandbrook Way, Rochdale, OL11 1RY — 1358 yards to the southwest. Sandbrook Park, Sandbrook Way, Rochdale, OL11 1RY — 1313 yards to the southwest. Touchstones Rochdale, The Esplanade, Rochdale, OL16 1AQ — 1375 yards to the northwest. Albion Park, Warrington Rd, Warrington, WA3 5PG — 797 yards to the northeast. 2 Hurst Street, Rochdale, OL11 1BH — 117 yards to the south. Sandbrook Way, Rochdale, OL11 1RY — 1397 yards to the southwest. Rochdale Exchange Shopping Centre, Rochdale, OL16 1YL — 1554 yards to the northwest. Crossfit Northern SoulApocalypse training systems, FailsworthRochdale, M359BGOL114EE — 898 yards to the south. Rochdale — 1131 yards to the north.